All Aboard With Lake Tahoe Bleu Wave! Blog » All Aboard With Lake Tahoe Bleu Wave! Felicia Events talked with Annemarie Prudente of Lake Tahoe Bleu Wave, Lake Tahoe’s premier yacht company, about their wedding options. If you’re looking for a unique, outside of the box way to get married, Lake Tahoe Bleu Wave will be exactly what you’re looking for. Felicia Events: Tell us about the Lake Tahoe Bleu Wave. How did it come to be? Was it always used for weddings? Annemarie Prudente: The Bleu Wave is a 1966 Berger Yacht that was built in Wisconsin. A wealthy couple from Newport Beach owned her for a while as their private yacht and cruised around the world with a full staff on board. Caesars Entertainment purchased her and brought her up to Lake Tahoe but Mont Bleu Casino acquired her when they took over Caesars Casino. In 2007, Mont Bleu sold the Bleu Wave to Ryan and Laura Forvilly, who immediately started using her for weddings and public cruises. 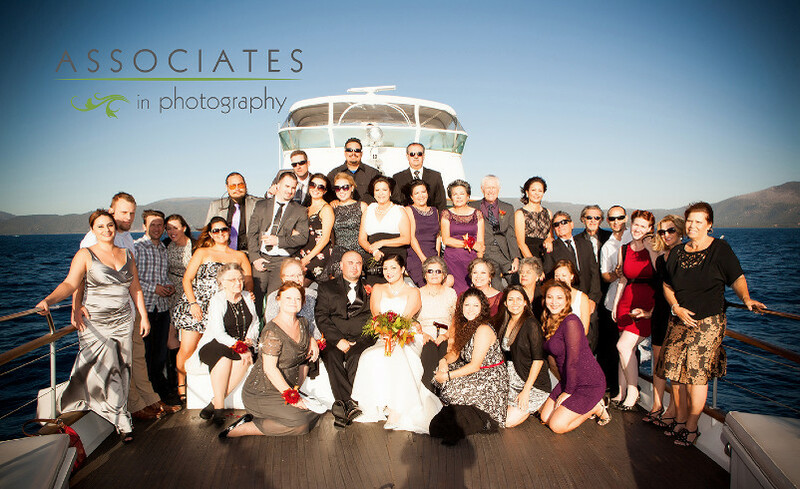 FE: What are the benefits of having a wedding aboard the Lake Tahoe Bleu Wave? AM: The Bleu Wave is one of the most unique experiences you can have for a wedding. 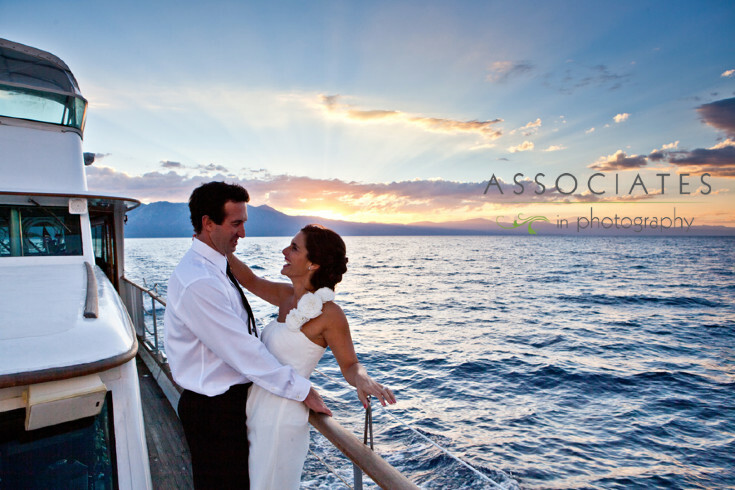 There are not many places like Lake Tahoe which is why it is such a popular wedding destination. There are limited choices when it comes to having a wedding on the lake due to conservation reasons and we feel the Bleu Wave is the most luxurious of all of them. Having your wedding on the Bleu Wave is so special because you are removed from the busyness of the beaches and surrounded by 360 degrees of vast blue waters and stunning mountain peaks. AM: We do not allow clients to bring their own food and beverage on board but they can bring their own cake, photographer, and flowers. We have a surround sound speaker system clients can plug into and play their favorite playlists. FE: Can the ceremony and reception be held aboard the yacht, or can brides have a land ceremony with a floating reception, or vice versa? AM: We have a few packages that include a ceremony and reception on the yacht. Everything is right in one place, which makes it very easy. The Captain performs the marriage ceremony during the cruise, then gets to hang out with the guests the rest of the charter time. For the brides who want a beautiful lakeside ceremony, they can choose our most popular package, the Beach Ceremony and Yacht Reception. They will get married at Zephyr Cove Beach, then walk along the shore to the pier for their yacht reception. We also have an option to have your ceremony on the yacht, then we can arrange a small lunch or dinner close by on shore at the Zephyr Cove Restaurant. AM: Our packages vary to make it easier for the bride to pick which one is perfect for her. Some include their minister, dinner, and drinks while others include photography, flowers, and cake. If brides don’t see the perfect package for them we encourage them to make their own. 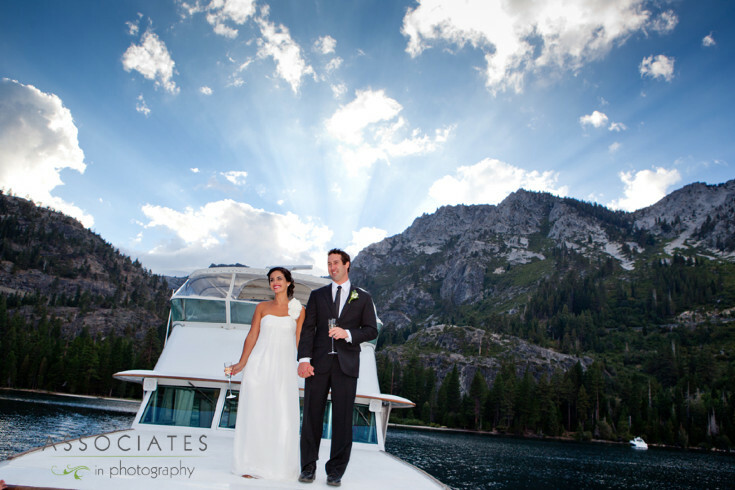 FE: Does the Lake Tahoe Bleu Wave operate year-round for weddings? 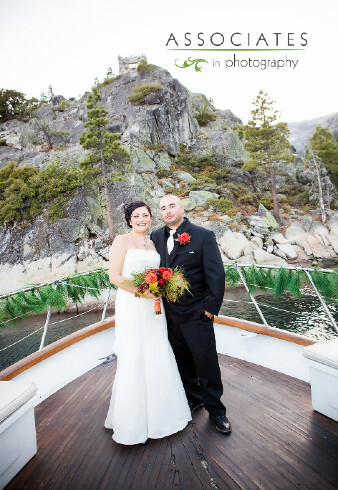 FE: Is there anything special brides should know about getting married aboard the Lake Tahoe Bleu Wave? AM: As a family owned company we strive to make a brides’ wedding as easy as possible. We are open 7 days a week and are here to answer any questions or to help with planning. We certainly do not leave the bride ‘high and dry’ once they book but are with them every step of the way in their planning process. FE: How should brides go about contacting you? Phone number? Email? AM: Brides can contact us through our web site, www.tahoebleuwave.com, via email at info@tahoebleuwave.com, or call us directly on our cell phone at 775-339-1202.